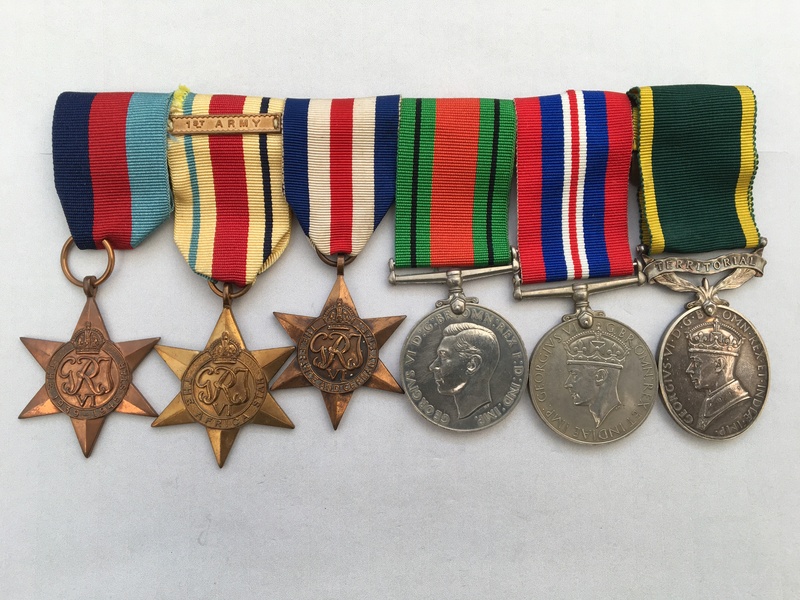 A WW2 medal group with Efficiency Medal named to 1433079 Gunner W. Trumble, who served with the Royal Artillery. 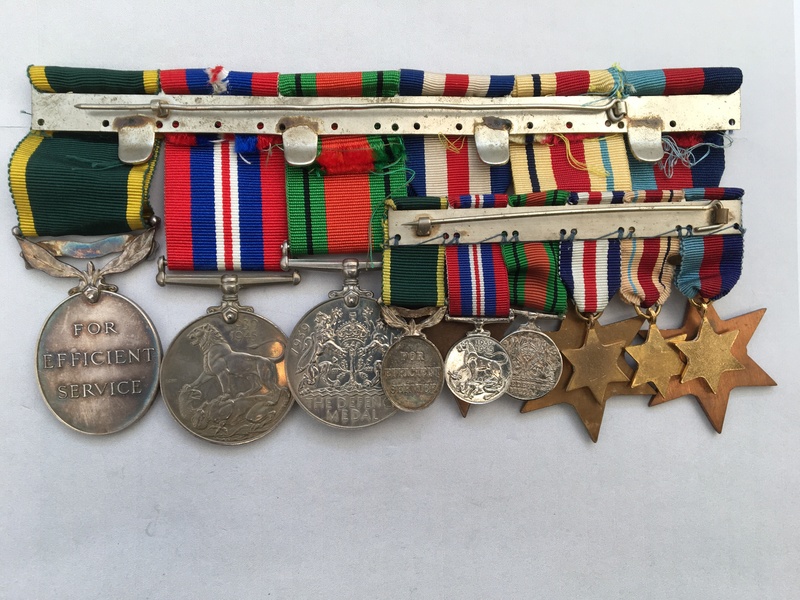 From the awards issued to Trumble, we can see that he served with the 1st Army in North Africa between November 1942 and May 1943 having taken part in Operation Torch (the landings in North Africa), before serving in France and Germany following ‘D’-day. The history of the 1st Army can be viewed by clicking on here and the details of Operation Torch can be viewed by clicking on here. 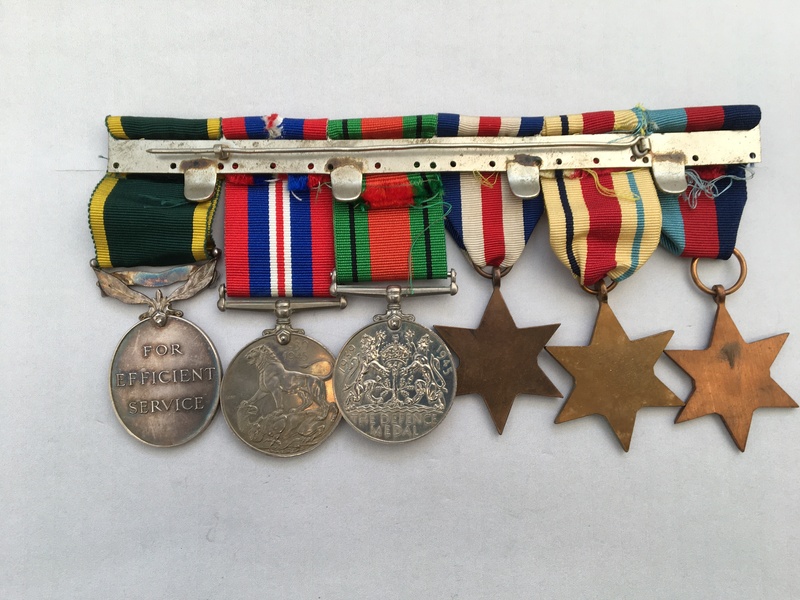 Africa Star (clasp 1ST ARMY) unnamed as issued. Further details of WW2 medal award criteria, can be viewed by clicking on here and scrolling to the relevant medal entry. Information regarding the Efficiency Medal can be viewed by clicking on here. 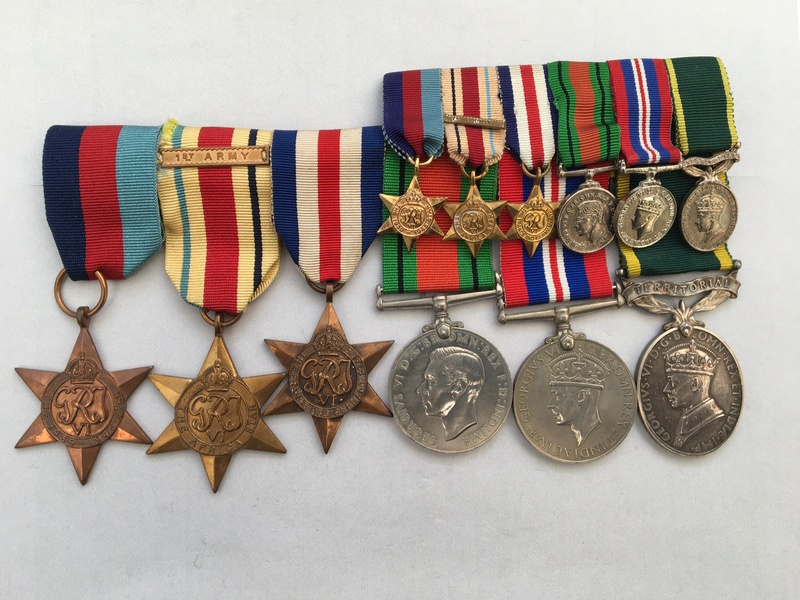 The medals are swing mounted with their original ribbons and come with a matching set of contemporary miniature medals which are also swing mounted with their original ribbons. I have undertaken no further research in regards to this man.